The very best conversion for an online ordering system is now in existence, all tested and approved. 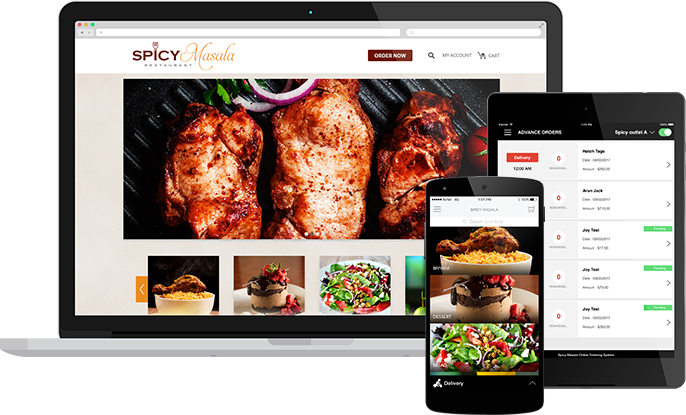 Enhance and enrich your restaurant’s service by providing a branded and customized online ordering application compatible on both desktop and mobile devices. This is by far THE BEST Online Ordering App. Give your customers a place to order instantly. Everyone loves ordering on a mobile device these days. Let your business reach your customers on the smallest of screens. Right here, right now, we offer a mobile app solution, customized for both iOS and Android plus a management platform for the Restaurant Manager. Save time and create a better dining experience for your customers. Our New Restaurant App product comes with flexibility for you the Restaurant Owner to add widgets as required to the specification. This is a branded app for restaurants that want to have a more unique and different experience for each customer. Connect in real time to your customers through social media, email marketing, alerts, coupons, Happy Hour and more. You tell us how best you want to communicate with your customers so they keep coming back. If you have merchandize for sale as part of your restaurant memorabilia collection we can create a shopping cart to make buying a lot easier.